Nathan Runkle, author of Mercy for Animals: One Man’s Quest to Inspire Compassion and Improve the Lives of Farm Animals is just one of those people whose passion is apparent from the moment he opens his mouth. Like his speaking voice, Runkle’s writing style is remarkably elegant and concise. I was shocked that he struggled with reading and writing as a young student because he is a remarkably articulate speaker and writer. Like the farm and dairy investigation transcripts contained in its pages, this book is not for the faint-of-heart. In creating transparency within the culture of American food production practices, Runkle and his team pull the curtain back, so to speak, to reveal the brutality inherent in factory farming operations. 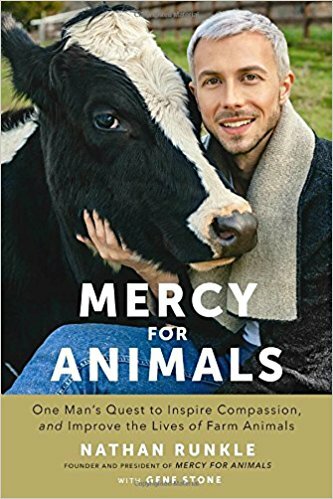 In short, this book is about how Runkle founded Mercy for Animals, a non-profit organization devoted to raising awareness about the lives of sentient farm animals and the system of which they are a part. At the core of this book lies the fundamental belief that the lives of all beings deserve respect and dignity. Anyone who has been on the receiving end of bullying or oppression will sympathize with the plight of Mercy for Animals. The sickness, disgust, and perhaps solidarity you will feel when you go behind the scenes at a factory farm will empower you to make changes in your lifestyle and better yet, how you relate to and think about animals. In short, this book spotlights Runkle, his twenty-year career, and the other investigators who obtained jobs in hatcheries and slaughterhouses across the United States and abroad in order to spotlight what goes on behind closed doors. Their work created the pressure necessary in order to affect change even at the level of national policy. The exploitation and commodication of animals and workers in a billion-dollar industry forms the bedrock of modern animal agriculture as it’s impossible to pack 60,00-100,000 chickens into a warehouse without grave consequences. Opposition to this industry was established alongside the industry itself, and you can bet Runkle smartly contextualizes his book alongside Upton Sinclair’s The Jungle published in 1908, among others. As Runkle learned, investigators document every minute of footage with objective language rather than evocative language. For example, when the book discusses what “thumping” means in the pig-farming industry, investigators refrained from using “emotional” language. Instead, undercover investigators might describe “thumping” as a “standard practice” entailing slamming “defective” piglets into the concrete to kill them rather than saying “workers grabbed helpless piglets by their legs and swung them violently into the concrete to crush their skulls” (which is exactly what happens). In other words, investigators are not permitted to purposefully appeal to the emotions of readers and must instead focus on relaying facts and behaviors. But as Runkle knew, there really is no nice, flowery way of making a lifetime of suffering sound like standard operating procedures (even though euphemism and secrecy lies at the heart of the animal agriculture industry). As many consumers know, myself included, the majority of meat and dairy foods we consume are produced not by “humane” family farms peppered with “happy cows” grazing in green pastures but rather from massive mechanized farming operations deliberately located in remote areas out of sight…and out of mind. I’d say slaughtering 12,000 pigs per day constitutes massive AND industrial –the opposite of humane family farms. Although that seemingly innocuous cellophane-wrapped animal product in the grocery store reveals only the end product of factory farming, the animals on our plates endured a lifetime of suffering. Floors caked with excrement, dust, blood, and decaying animal bodies is commonplace–not some grotesque bit of propaganda created by bleeding-heart, tree-hugging hippies to get you to care about animals. The respect we extend to our beloved family companion animals is virtually non-existent in the lives of farm animals. After a delve into the animal liberation literature, try singing “Old MacDonald” in the year 2018 and hearing it as more nursery rhyme then pantomime. This post isn’t the equivalent of a virtual finger-wagging, either. It has taken me decades to finally come to terms with–to accept–that the lifestyle choices I made every day absolutely matter. If you’re not particularly “sold” on animal rights, you might then take note that Runkle’s book also illuminates how the poor and people of color are particularly vulnerable fodder for the meat, dairy, and egg industries. While Runkle is more immediately concerned with the plight of farm animals and the suffering they endure at human hands, the suffering is not theirs alone as workers labor in harrowing conditions enduring illness and injury alongside the animals. I cannot help but speculate that the implications of killing and processing suffering animals in order to make a living are devastating–physically, emotionally, spiritually. But as gruesome as the reality of farming operations is, Runkle remains optimistic and steadfast in his mission to help people reconnect to the compassion they already have in their hearts for animals. Runkle’s optimism is key as the work of Mercy for Animals isn’t for nothing: this organization and others like it are disrupting market forces and supply & demand chains that mask injustice and exploitation. 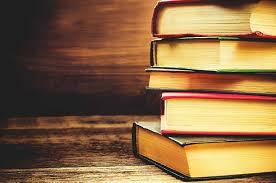 Overall, this book was very well-written and executed. A powerful, animal ethics movement is gaining momentum, changing the way we relate to animals, to our environment, and each other. From a local standpoint, I’m also excited that “plant-based” and vegan lifestyles have arrived and are celebrated more every day here in the Quad Cities, as evidenced by the Quad Cities own first Veg Fest, to be held August 11th, 2018 at Schwiebert Park on the Rock Island riverfront.